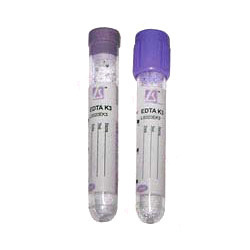 ECOTAINER EDTA tube is widely used in clinical hematology as well as various kinds of blood cell test instruments. The interior of the tube wall is coated with either K3EDTA. The EDTA binds calcium ions thus blocking the coagulation cascade.ECOTAINER EDTA tube can be used in the closed mode with direct sampling analysers. Meanwhile, it offers a comprehensive protection for blood cell, especially for protecting the blood platelet, so that it can effectively stop the gathering of blood platelet and makes the form and volume of blood cell uninfluenced in a long time. The ultrasonic spraying technique is used during the production process, which ensures complete and rapid decentralization of the additive, and thus sufficient mixing with the blood specimen. ECOTAINER Glucose Tubes are available with different additives. The tubes contain a stabilizer and an anticoagulant, Sodium Fluoride and Potassium Oxalate or Sodium Fluoride and EDTA. Glucose tubes are suitable for the analysis of blood sugar and lactate. ECOTAINER No additive tube is used in blood collection and storage for biochemistry, immunology and serology tests in medical inspection. It can provide enough and unpolluted serum specimen for clinical test, while keeping the serum invariable in the long inspection period. It is applicable for all current mainstream biochemical analyzers. 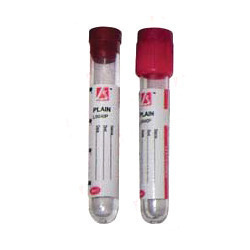 ECOTAINER Pro-coagulation Tube is used in blood collection and storage for biochemistry and immunology tests. 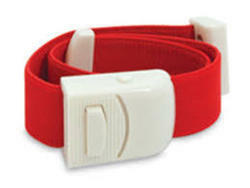 It is coated with micronized silica particles which activate clotting in a comparatively short time. 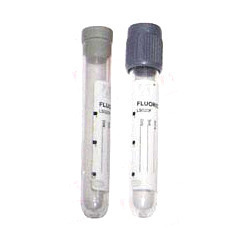 High quality serum can be acquired after centrifugation, meeting the requirement of fast clinic and emergency medicine. We are instrumental in offering a quality-approved Tourniquet. The tourniquet offered by us has durable sealing, without clumsy stitching adds to the aesthetics. Offered tourniquet is inspected on varied parameters in order to rule out every possibility of defect. Our experts manufactured this tourniquet using excellent quality material & contemporary techniques as per the norms of industry. 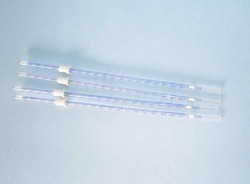 Looking for Blood Collection Tubes & ESR Pipettes ?